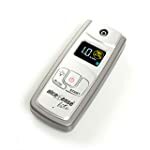 Whether it be for peace of mind or educational purposes, an alcohol tester is perfect for many different situations. 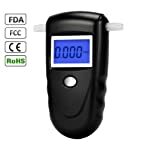 Typically referred to as a personal breathalyzer or portable breathalyzer, these devices have evolved over the years to the point that you can own one that will give you the same results as those that are used by professional law enforcement and medical personnel. The history of breath testing is not as recent as the advanced breath testing devices now commonly used. Alcohol breath testing was realized as early as the 1940’s. Back then the tester was called the drunkometer. Evidence has been found that links testing for alcohol in a person’s breath to as early as 1874. All states use some form of blood alcohol content (BAC) testing when a driver is suspected of drunk driving. The easiest and most affordable method is by using a breath testing system, which often is used for random breath testing as well. The other three methods of testing for alcohol content are through an actual blood draw, urine sample or saliva sample. The obvious problems urine and blood testing methods present are the length of time it takes to calculate results, not to mention the occasional mix up in lab results. The saliva sample also takes time to process in a lab, but is less expensive than a blood or urine sample. Although the earlier versions of breath testing were crude and often produced inaccurate results (in terms of the breathalyzer, false positive is a commonly used term), using a breathing mechanism was still faster than the urine or blood test. Today, a breathalyzer with a fuel cell alcohol sensor is the best technology available to measure alcohol levels in an individual. With this advanced technology it is still possible to get erroneous results, but is far less likely than in the 1940’s. It’s commonly thought that the more expensive an item is, the better it works and less likely it is to provide inaccurate results, but this line of thinking does not necessarily apply to all breath testing devices which rely on the fuel cell sensor. Although the price may vary by design, supply, casing, portability and even durability, an inexpensive breathalyzer can still produce accurate results. If used correctly, a majority of these devices will provide reliable breath testing results. A breathalyzer uses a person’s breath sample to determine what their blood alcohol (BAC) level is. There is assumed to be a direct relationship between the concentration of alcohol in a person’s breath to that in their blood. Unlike non-alcoholic beverages, the body does not digest alcohol. Rather, the alcohol is absorbed through the tissues in a person’s mouth, throat, stomach, intestines and organs. Once the alcohol is absorbed into the body, it is automatically transmitted into the bloodstream. It continues to circulate in the bloodstream until it is filtered out through the liver or expelled through evaporation in the lungs. A breathalyzer can then measure the person’s BAC level through his or her breath. A BAC of .08% is considered the legal limit for driving while intoxicated (DWI) in all states in the US, although a driver can be convicted of driving under the influence (DUI) for a BAC level as low as .05%. There’s no doubt there are quite a number of quality alcohol testers to choose from. Knowing which one is the right one for your needs will depend on what kind of use you’re planning to give it. Will you be testing just yourself or will you be testing all your friends too? Will you need a fuel cell sensor or will the personal breathalyzer work for you? If you’re buying one for a college student, think about extra mouthpieces when you order and by all means, consider the Breathkey for him or her. Just as the price range of these devices is very wide, so is the quality level when it comes to accuracy of results. If you are simply looking for something to use at social gatherings for a bit of fun, or even as an educational tool, you can get a decent unit for less than £40. This is definitely not the kind of breathalyzer you should be keeping in your car and relying on to check your blood alcohol content (BAC) after you have had a couple of drinks. Deciding when you are too impaired to drive is serious business and should not be taken lightly. If that is the reason you are purchasing a blood alcohol calculator you have to understand the differences in quality and price. The BAC reading from a breathalyzer always has some error associated with it. The more expensive breathalyzers, especially those used by law enforcement, have less error than consumer breathalyzers, but no breathalyzer is 100% accurate. Your blood alcohol level as measured by a breathalyzer is in the units of % BAC. So a BAC of 0.080% (the legal limit) means that 0.080% of your blood by weight is ethanol. A professional breathalyzer must pass testing done by the Department of Transportation, which requires an accuracy of plus or minus 0.005% BAC at a level of 0.100% BAC. 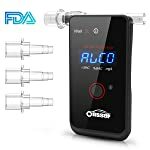 The FDA requires that a personal breathalyzer undergo accuracy testing too, but the accuracy requirements are much less stringent: the device only has to verify whether there is alcohol present or not, but not with any real accuracy. 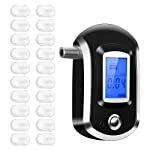 Most breathalyzers that have been granted FDA certification state their accuracy to be plus or minus 0.010% BAC at a level of 0.020%. This would be equivalent to a professional breathalyzer being accurate to a level of plus or minus 0.050% at a level of 0.100%! Quite a difference. Passive breathalyzers can obtain a BAC reading if a person speaks to or blows onto the device from a short distance. There is no direct contact between the person and instrument in passive breathalyzers. This type of breathalyzers can only be used to determine whether alcohol is present or not. In active breathalyzers, a person need to deliver a breath sample through a mouthpiece. Active breathalyzer gives more accurate reading. Having a handy, accurate alcohol tester at his or her fingertips at all times might be a life changer – or saver! No matter which one you choose, rest assured that with proper use and regular use, you’ll learn more about alcohol and you’ll also learn to drink more responsibly and with more respect for the effects alcohol has on your mind and body. bestthermometers.co.uk is a participant in the Amazon Services LLC Associates Program, an affiliate advertising program designed to provide a means for website owners to earn advertising fees by advertising and linking to amazon(.com, .co.uk, .ca etc) and any other website that may be affiliated with Amazon Service LLC Associates Program.